View More In Cookie Stamps. 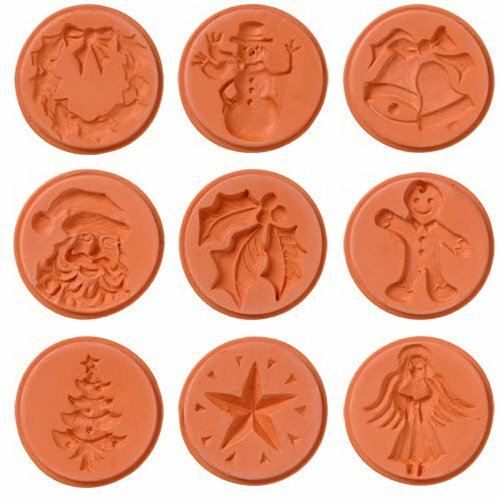 9 Individual JBK Christmas Cookie Stamp Designs. These Cookie Stamps do not have handles. We have found that you are able to control the pressure much easier when there is no handle involved. Tucked inside each package of JBK Cookie Stamps, you will find a Cookie Recipe. If you have any questions about this product by JBK Pottery, contact us by completing and submitting the form below. If you are looking for a specif part number, please include it with your message.